What do you think of a world where every device, you own is communicating with each other to do your daily tasks? A world without IoT is like living in a stone age? 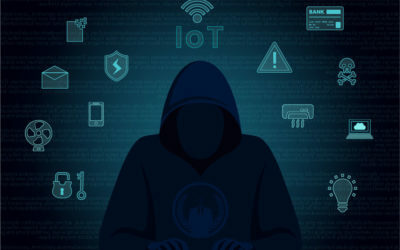 It may seem like a big claim for some of you, but when you see the bits of IoT, reflected in even mundane tasks of our daily lives, you will agree to it. So how important is the “Internet of things” in our lives? Before answering this, lets just first get hands on the idea behind this technology and how the internet of things works. 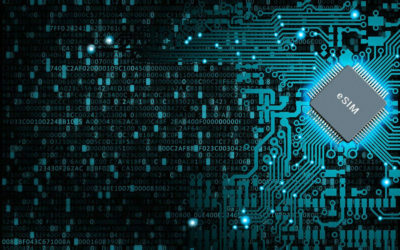 Taking on that dictionary definition it’s “the interconnection of computing devices embedded into everyday objects to let them send and receive data, via internet” is the internet of things. But, what are these computing devices? What are these everyday objects? And what kind of data is sent or received?. Simply explaining, internet of things is a concept, where your everyday devices, for instance, your tv’s, phones, kitchen appliances, your lights, cars or even your doors and windows are empowered with an internet connection and sensors to generate and share valuable data to understand and analyze different activities happening around them. However, this data is collected through machine learning. The device observes your repetitive activities to predict your future behavior. Or it might detect changing in the environment to plan and suggest your future actions. Do you have a watch that tells you that now is the time to take a walk? Or tells you how much calories you’ve wasted? How about you stop your car outside your garage and the door automatically opens up. You park your car inside and the detectors sniff the position and close the door automatically and lock the car, turns off the lights and engine once you exit. And adjust the temperature of the car when you arrive or leave the home. Ok just think of a situation where you get notified on your smartphone about any unknown person moving around your house, while you’re sitting in your office. Similarly, just consider having a device that records your daily consumption of electricity for monitoring and billing purposes. These are some, of the many examples of the internet of things that are facilitating our lives today. 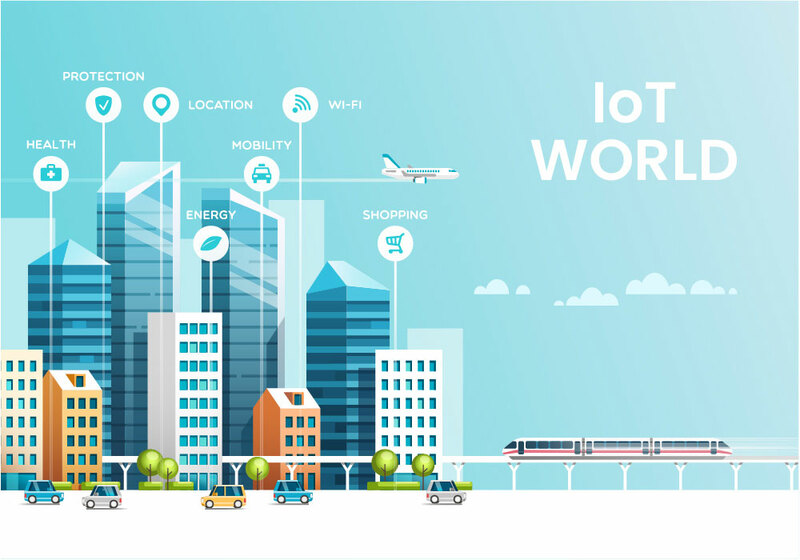 Various IoT solutions are designed by these IoT companies to enhance customer experience and empower businesses to unlock their full potential. From transportation to healthcare, from consumer applications to energy management, from agriculture to banking and education. The wonders of IoT is spread across every field, transforming the technological horizon. Another analyst, IDC, forecasts worldwide spending on IoT to reach $772.5bn in 2018. It predicts worldwide IoT spending to have a compound annual growth rate (CAGR) of 14.4% between 2017-2021. With $1 trillion marks in 2020 and reaching $1.1 trillion in 2021. 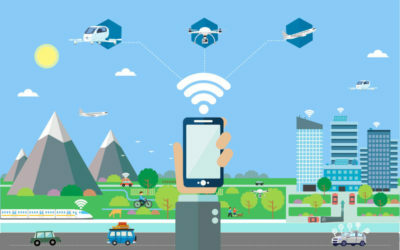 Moreover, Gartner predicts that one in five vehicles on the road will have some form of wireless connection by 2020. Likewise, it is also predicted that global manufacturers will invest $70 billion on IoT solutions in 2020. 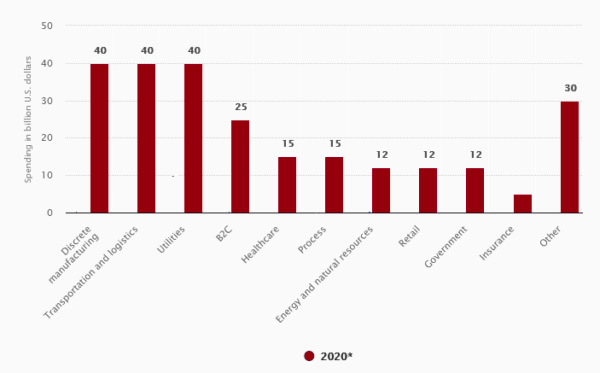 And, B2B space is expected to flourish from 2.5 billion connections in 2017 to 5.4 billion devices in 2020 including connected manufacturing machines, in-store analysis devices, workspace management applications and/or industrial sensor. Healthcare sector is also going to enjoy the benefits of IoT. according to IDC Health Insights, 80% of consumer service interactions will use IoT, big data and analytics to improve quality, value, and timeliness by 2020. 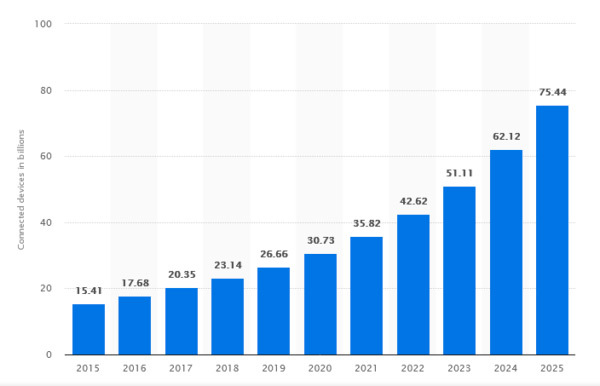 And Machina Research anticipates that the connected health market will reach $36 billion by 2024. Furthermore, a Dutch company uses Internet-connected sensors on cattle to tell farmers when the animals are sick or pregnant. Each cow sends about 200 MB of data per year. And, this was not possible without IoT solutions. There are a number of use cases and/or IoT applications that are currently facilitating various sectors. 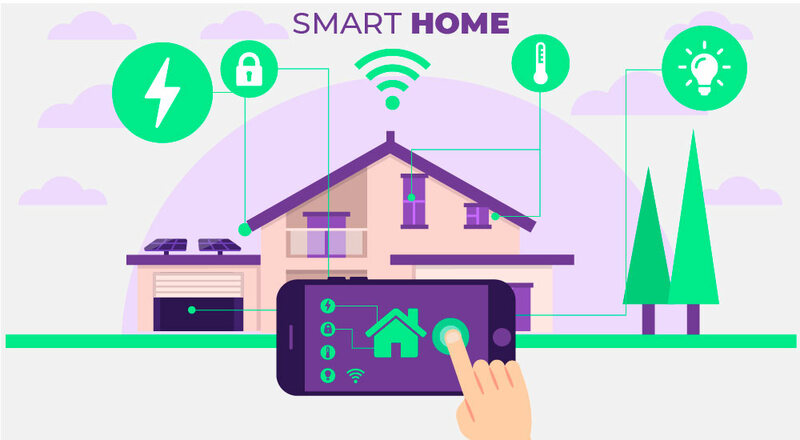 According to a survey conducted in the UK, Home Appliances like a thermostat, smart refrigerator etc, are likely to be the most popular IoT appliances for consumers. Moreover, it is expected that the global smart home market will rise to $40.9 billion in 2020. Wearables have recently gained a much significant place in the consumer and business market. Together with AR and VR technologies, these wearable devices are much more dominating the technological landscape. But how do they work? This may also interest you: Interacting With Friends In Facebook’s VR Spaces Is Something You Can Awe About! These devices are embedded with sensors and software, to collect user data and grasp useful insights. And these insights help to create an immersive experience for you in the future. Think of a movie, where characters seem to roam around you. The wearable technology is broadly used in entertainment, health and fitness areas. Your smartwatch displaying your record for, let’s say, a 1 hr walk, including your calories burnt and related information. It is an example of a wearable. Can you imagine a car without a driver? Well, here it is. Connected cars are out there to amaze you. These cars are manufactured on the idea that the car will automatically optimize its operations and maintenance. It will use onboard sensors and internet to ensure passenger comfort. Empowerment of industrial engineering through sensors, software, and big data analytics is a new concept. How about getting a notification that your inventory is going on the minimum level? Yes! You guessed it right. Sensors and smart meters help to monitor the inventory when it reaches the minimum level and automatically replenishes it. 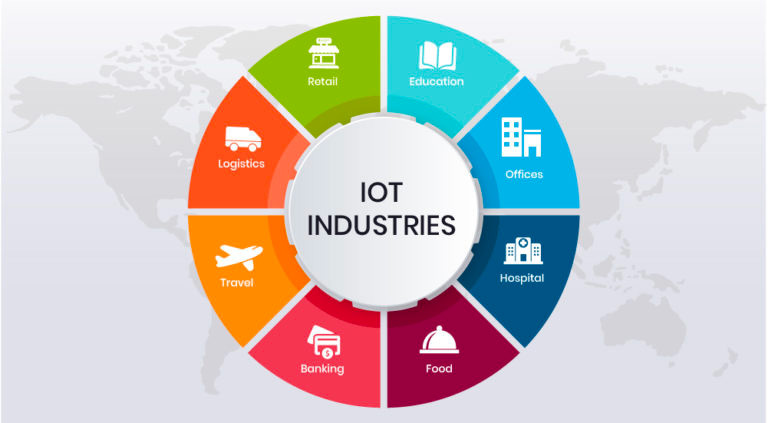 Asset Tracking, real-time information exchange, automated delivery are some of the characteristics of Industrial IoT. 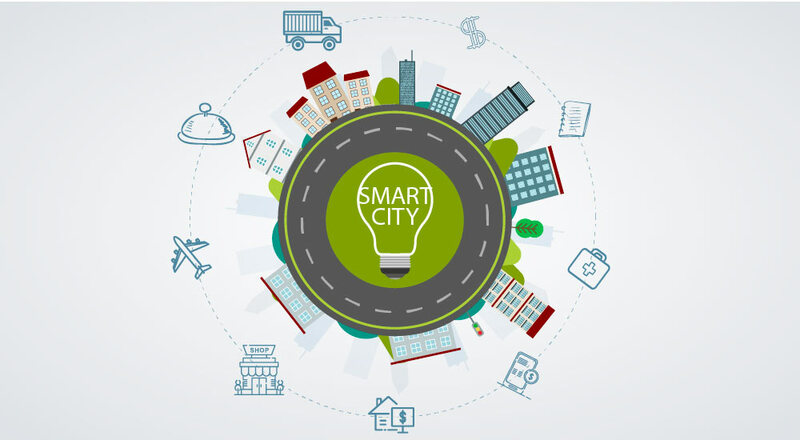 Smart surveillance, automated transportation, smarter energy management systems, water distribution, urban security and environmental monitoring all are examples of the internet of things applications for smart cities. Do you have a bin nearby your home that alerts you once its full? IoT products like cellular communication have enabled smart bins. It automatically alerts municipal services that the bin is full. Moreover, you are going to get applications and installed sensors, which will help you determine the available parking slots across the city. Are you facing a problem related to electricity meter tampering? You don’t have to worry about it now. Because any malfunction or tampering related to electricity system will be detectable in the future. IoT is also dominant in the agricultural sector. Sensing for soil moisture and nutrients, controlling water usage for plant growth and determining custom fertilizer are some simple uses of IoT in smart farming. In addition, smart devices help in treating cattle health and other needs. Therefore, sensors and actuators, geo-positioning systems, Big Data, Unmanned Aerial Vehicles (UAVs, drones), robotics are some of the examples of IoT devices and technologies used in the Agricultural sector. These allow for more advanced methodologies and techniques to nurture plant growth and overall agricultural success. Have you heard something like “Auto-bed”? Another masterpiece of IoT has enabled the use of auto-beds. It tracks the occupancy among 1200 units and factors in 15 different metrics to assess the needs of the individual patients. Likewise, Tracking and monitoring staff members, patients, devices and the overall hospital environment are other examples of IoT in healthcare. Furthermore, the combination of wearable tech, next-gen analytics, and mobile connectivity are helping in treating and detecting various chronic diseases. Hence, IoT has developed such an information exchange environment, that we could have never imagined before. Isn’t it amazing that we can now control our homes while just sitting at our office? We could roam about on smart streets, with smart cars and use smarter applications to control our environment. Therefore, a world without IoT is a world without oxygen. We now could not even imagine a life where we have to do each and every task with our hands. In this fast-paced world, surviving without automation is impossible. So, do you want everything near you automated? Do you want to make your life easier with smart devices like mentioned above? 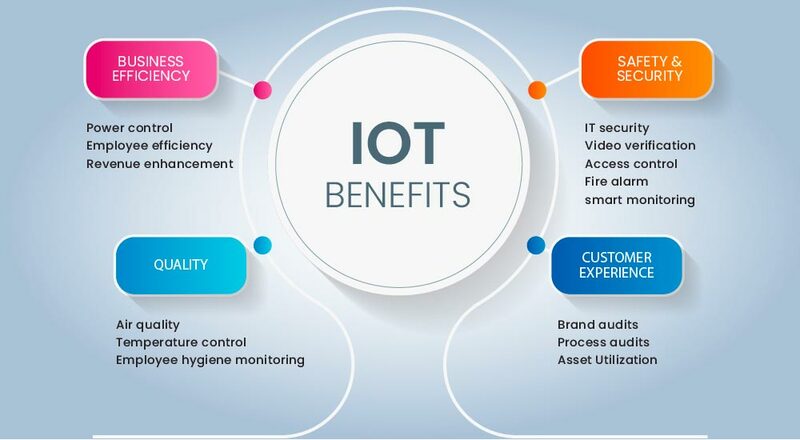 ZIN holds in years of experience to cater to the rising IoT needs of this world providing world-class IoT solutions. Share your thoughts about this blog in the comments section below.